Practical knowledge is a critical part of networking learning and at Network Bulls we focus on 100% practical training. Network Bulls has world's largest cisco training lab which is fully equipped with the latest and updated real Cisco devices. The lab has dedicated sections for CCNA., CCNP & CCIE along with self-study zone. In this virtual tour video, you can experience NB labs yourself and see each section of the lab closely. Every Networking Student and Working professionals have questions like what is CCIE? Scope & Salary Packages of CCIEs in India or What to choose CCIE R&S or CCIE Security? And team NB comes with this amazing explanatory video to answer all of these doubts. Every student joining Network Bulls gets 7 fundamental rights which they can access all the time and in this FB live session Mr. Paras Jairath, CEO of Network Bulls have explained the same in depth. Each student at NB can access labs 24x7, ask for back up classes, repeat the course, share his or her feedback anytime regarding training and much more. We encourage students at Network Bulls to work hard, upgrade their networking skills and enjoy an enriching environment that is why their participation is a must. Network Bulls recently completed its 7 years of excellent networking training. 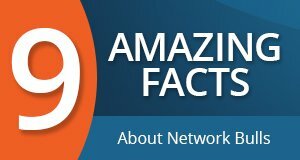 Network Bulls has achieved big milestones in just a short span of 7 years. Thanks to our students and employees because of them our journey of becoming the best networking training institute in India and around has been successful. Often students wonder why so many students join Network Bulls – India’s No.1 CCNA, CCNP and CCIE training institute after making a visit to Institute? And what impresses them most about Network Bulls? Today we answer your queries with this short film – A student’s journey of searching to enrollment at Network Bulls. This short film focuses on journey of Harpreet, who is a B-Tech (CS) Student and wishes to make her career in networking. She was looking for a best Cisco CCNA, CCNP, and CCIE training institute in Delhi/NCR and found Network Bulls. Want to know how she took an important career decision? Watch this short film NOW. Network Bulls, a pioneer institute in IT Certification training offers spectacular training and placement facilities to its students in India. Providing above the edge technological training, NB has produced many preeminent IT Professionals all over the world. Offering trainings on almost all popular IT certifications like Microsoft, Cisco, Ethical Hacking, Checkpoint etc.  Network Bulls offers amazing placement facilities to its candidates making their careers reach an all-time high. Network Bulls as a leading training provider company follows a variety of training methodologies to ensure most modern and updated form of learning. We at Network Bulls believe in transforming over all personalities of our students making their learning process highly interactive and student friendly at the same time. We are pleased to introduce Intensive Training Model for candidates seeking expert level knowledge in Routing & Switching, Security and other varied technologies altogether. Our high end technological and job oriented courses namely CCIE R&S Integrated and CCIE Security Integrated training programs have been reintroduced with intensive training model, allowing candidates to acquire deep knowledge about respective technologies. Awards and accolades signify an institute’s ability to provide what is intends to offer, meticulously. Standing by its words of providing the best training to its students across multiple verticals is what Network Bulls is all about. Network Bulls – famous for providing outstanding trainings on IT Certifications worldwide, is an institute of imperial standards. Be it teaching, providing placement services or student welfare services, NB has never failed to overwhelm its students with its perpetual offerings. Network Bulls has been appreciated for its outstanding training and services it has been offering to its students, ever since 2009. 8+ years to its existence and NB has made a name for itself in today’s world of IT Industry, worldwide. NB’s work has been acknowledged with more than 13 national level recognitions.